Texas Pistolaros is a group of (mostly) law abiding, gun totin’, wisecrackin’ frontier lawman on the lookout fer outlaws, ne’er-do-wells, desperados and any other assorted lily-livered no good low down skunks. 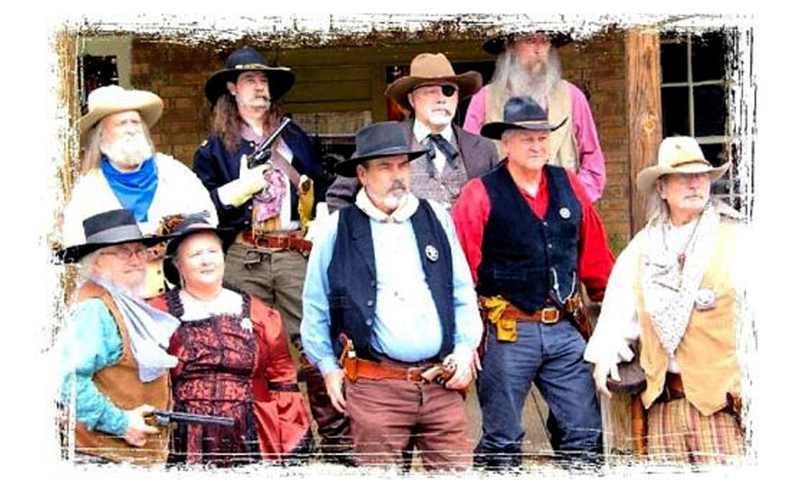 Texas Pistolaros is a historically correct old west reenactment society organized to promote early Wild West Drama and to present and preserve the authentic dress, action, deeds and history of the old west. All participants dress in authentic, circa 18800’s, old west clothing and regalia. They are armed with single action 6 shooter pistols and period western holsters. Long guns (rifles and shotguns) are carried as are Bowie knives, Arkansas toothpicks and other instruments of destruction and protection. The Pistolaros strive to conduct themselves with authenticity in historically correct gunfights, Wild West shoot-outs and reenactments. 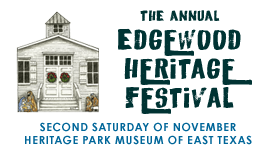 Both melodrama and comedy are professionally performed for wholesome family entertainment. Visit with them all day. Watch special shootout demo (4 shows) at the School Yard area.